Home » Blogs » srinidhi's blog » Sanity at Silkboard! BBMP/BDA have this ongoing plan to make ORR signal free around the city and taking that focus into consideration we can look at the below plan which is easier to implement as it costs less and land acquisition is minimal too. 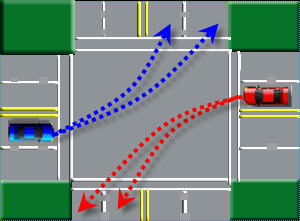 Hence as depicted in the above image, we can just look at having the two way instead of a singleway 2 lane double decker bridge continue at the silkboard junction which will make the junction effectively signal free. 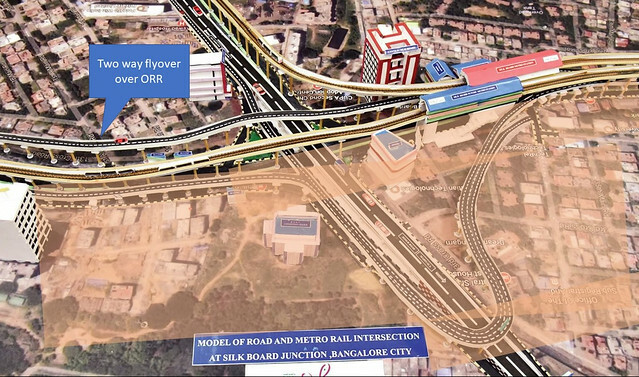 With the new propopal, at grade we could look at a traffic flow as below, where there is no through traffic allowed at grade, that is ORR will only be connected elevated and not at grade at the silkboard junction. Hence this would make the junction signal free as well as easier to implenment..
Why are there no Platform Screen Doors or equivalent on Bangalore Metro?